Arokia’s infrastructure is the powerhouse in itself, and is fully armed with the lightening bolt that pushes the momentum of performances to the highest level of existence. It is laced with the world’s best minds that work collaboratively to produce the stellar solutions that are second to none. Our technology-inspired infrastructure consists of fully equipped & controlled environment of approx. 5,000 sq. feet for development, with the most advanced IT assets situated within a LAN. It has 24 hour adequate Power Supply with 8 hours backup through UPS. It has a discrete feature that is uninterrupted 24*7 hour high-end Internet connectivity through ADSL (2Mbps) connection, with an ISDN & Broadband and backup facility. 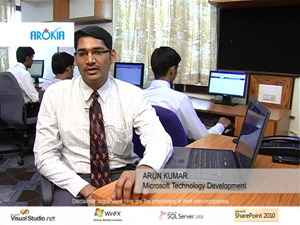 Arokia IT Pvt Ltd is uniquely able to help you tackle, manage and curb emerging business challenges. Through our multifaceted, augmented and responsive infrastructure, we can assure you a zenith level of certainty in your businesses. I was very satisfied with the hair extensions uk. My packaging was great, shipping was on time, and the customer service was very respectful and helpful. These are beautiful, I ordered the full lace wigs in and they are perfect. can need to be trimmed and are cut perfectly. They are so soft, full and just beautiful. I curled them when they came in and the curls are bouncy and full. After dyeing the hair, it is easy to become dry and rough. This is because the oil on the scalp does not go to the tip of the lace wigs uk along the curved hair, the hair is not tamed and the curl is rough and chaotic, all for this reason. Therefore, you should use full lace wigs tips at night to keep messy curls. Hair came very fast. Strong global & local presence. Achieved High Customer Satisfaction ratings across 6 countries. Highly Qualified and Competent technical resources. Corporate development center at Silicon city, Bangalore. 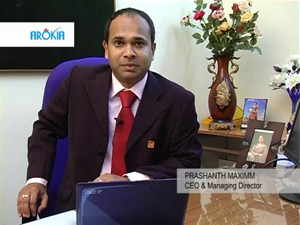 © 2014, Arokia IT Pvt Ltd. All rights reserved.